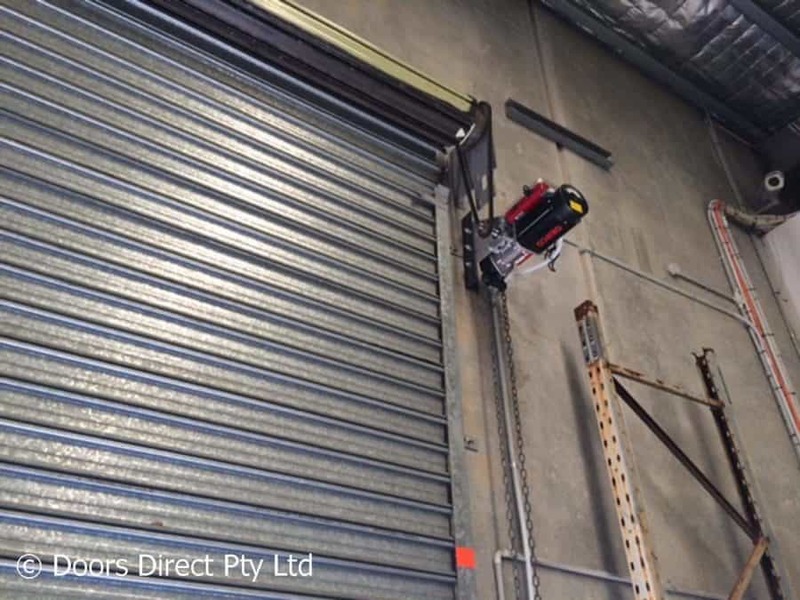 Doors Direct can supply and install new motors to an existing chain operated roller door or roller shutter. We can also repair or upgrade existing motors on these doors and specialise in repairing the Grifco range of motors. So how do you go about deciding whether a heavy duty 3 phase or single phase commercial roller door is the best option for you. In the past the reasons why people tended to pick a 3 phase motor rather than the single phase motors is because these items tend to be designed in a much simpler manner, which made them more compact. Ultimately, these motors tended to last longer, which means you’ll end up spending a lot less time and effort replacing or maintaining them. With newer technologies, single phase heavy duty motors have become just as robust and reliable as the higher voltage motors. Most commercial and industrial premises have 3 phase power available but some don’t and this is where a single phase motor only requires a 240 volt power point to get the job done. This can save you big money not having to run high voltage wiring to the roller door motors. The extra heavy duty design is made to operate roller doors up to 25m2 and 5.5m high. No need to open your door the old fashioned way, now there is an affordable solution to fit your existing door. Includes a 2 year onsite warranty, 2 remotes, 1 wireless wall control and free door service. Equipped with a powerful single phase electric motor coupled with Grifco’s proven self-locking gear reduction system the ML4102 is ideally suited for low cycle commercial roller shutters up to 32m2. Includes a 1 year warranty& low voltage control box.